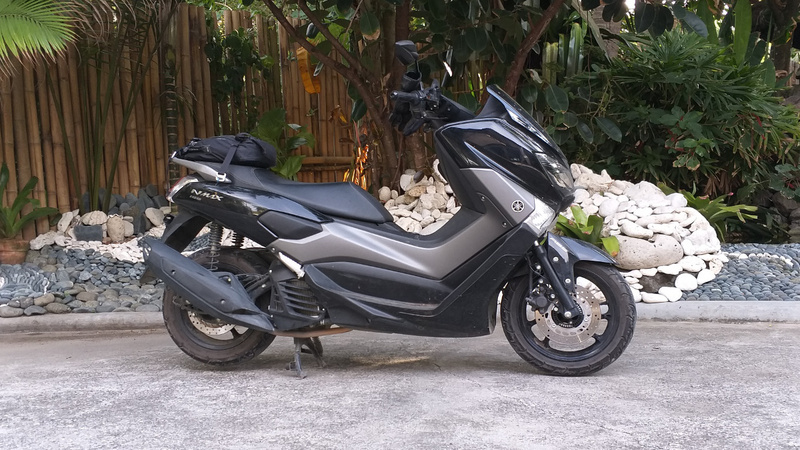 Yamaha PH will tell you point-blank that the sales performance of the NMax compared with the sportier, beefier Mio Aerox is almost neck and neck. The design package of the Aerox is more sporty, dynamic, and aggressive, though. Aren’t all motorcycle manufacturers targetting the millennial market nowadays? So, what’s with the NMax? We rode it during the Yamaha Tour de Rev-Visayas leg a few days ago, covering some 1,300km of roads in Samar and Leyte. Check out how three days of getting acquianted with this hot-selling scooter turned out. They say there’s more than one way to skin a cat. 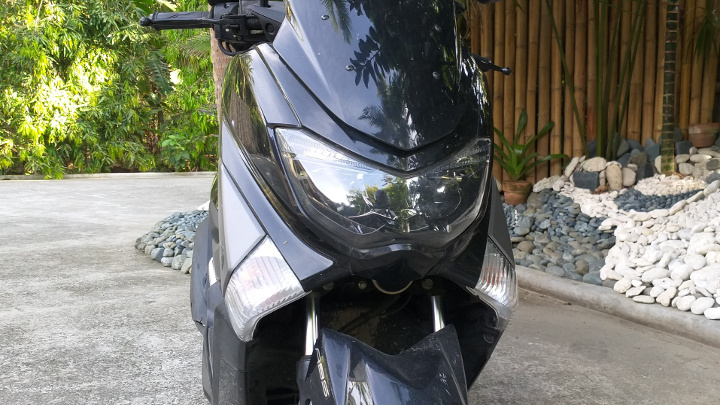 Unlike other scooters on the local market that brag about sportiness, the NMax tends to position itself more conservatively. No loud decals, no racing-stripe stickers. 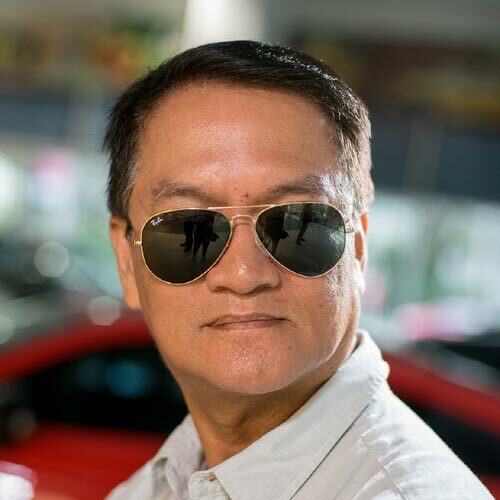 It’s endowed with a clean, two-tone body finish, highlighted by flowing lines often interpreted as ‘middle-of-the-road styling.’ Add to that the silver- or gold-plated emblem, and some would be quick to prejudge that titos and titas are the target market. Expect the NMax owners to respond to this comment. They’d rather call the overall styling of this youngest brood of the Yamaha ‘X’ scooter family as being sophisticated and timeless. From every angle, the NMax possesses a distinctive, respectable aura that makes it very appealing to office goers and students alike. Over 1,300km. 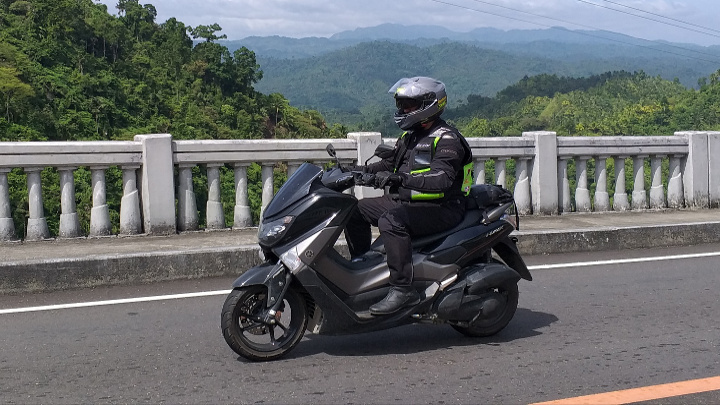 That was the distance we traveled for the Yamaha Tour de Rev-Visayas leg, and it was almost a back-breaking experience with the Nmax. Aside from the rear suspension being stiff, the wide seats don’t provide enough cushioning to soften the impact of road ruts. During the ride, I found myself relieved from the pounding effect on my bum by standing on the rear foot pegs or moving farther back from the seat whenever I saw road cracks up ahead. A good pair of aftermarket shock absorbers and a little extra seat padding might alleviate the situation. Here, the Yamaha NMax scores big time. With its powerful and responsive 155cc SOHC single-cylinder powerplant making 14.9hp and 14.4Nm of torque, none of us resisted the temptation to go full-throttle on clear roads every time we broke away from the convoy. Its Blue Core engine also features variable valve actuation for a more efficient power delivery. Top speed is pegged at 125kph, and engine vibration is hardly noticeable both from the handle bar and on the step board. 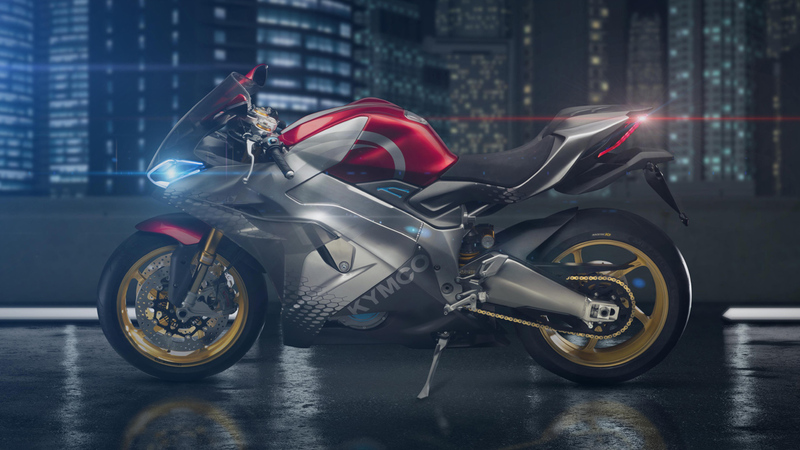 The exhaust system emits a gentle hum at high revs, which translates to a less stressful riding experience. The engine being liquid-cooled, engine temperature remains stable in heavy traffic. Compared with other scooters, the NMax’s engine heat is not an issue. The smooth, seamless acceleration makes this scooter a perfect ride for beginners, too. 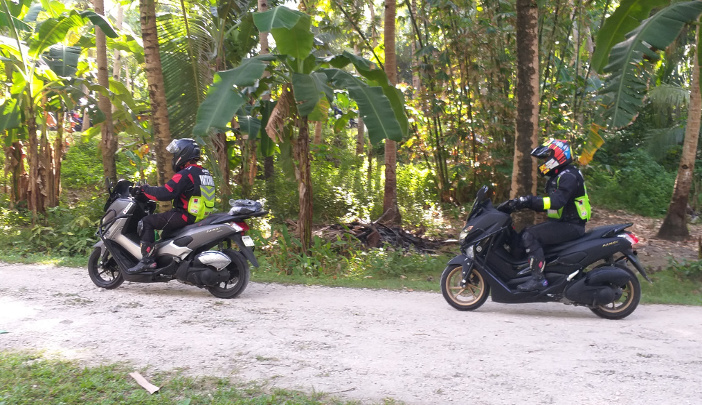 The twisties of Samar provided a cool venue to master throttle control by lessening braking and using the bike’s momentum to maintain speed. That’s what we call an easy, chill ride. Scooters with automatic transmissions, small engines, and short-wheelbase configurations like the NMax are primarily built for short distances. Their main habitat is in city. But because of the spike in moto-travel, we see more of these automatic commuters invading remote provinces, especially during weekends and long holidays. 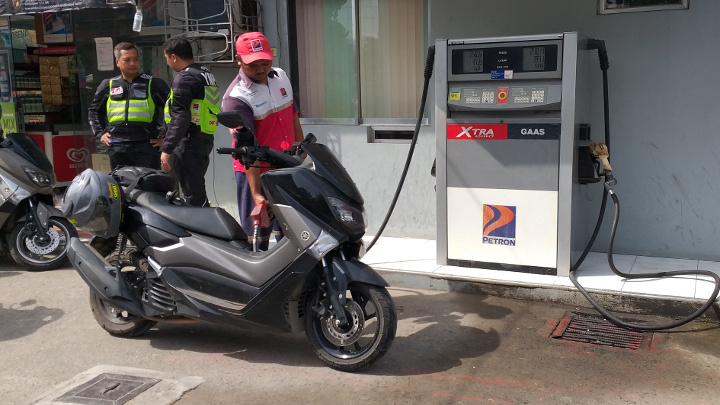 Thanks to its twist-and-go technology, I found the NMax convenient to ride on both highways and busy streets. Lightweight at 127kg, it takes less effort to push it into a tight parking slot and lift its entire weight to put it up on its the center stand. The handling of the NMax on the zigzag portions that led us to the pristine beaches of Samar was so impressive, leaving us hankering for more twisties. The upright riding position helped me survive the long ride while enduring pain from my behind and lower back. Come to think of it, we averaged 400km a day during the three-day tour. Aside from the dependable stopping power provided by the front and rear disc-brake system, the ABS boosted our braking confidence as we rolled over muddied surfaces in several landslide-prone areas. Move in closer to the NMax and you’ll be able to appreciate more of its functional amenities. One of my favorite features is the full-LCD instrument panel that’s ergonomically designed. It provides the rider additional data like the average fuel consumption, which we found generally accurate and very useful in long-distance riding. 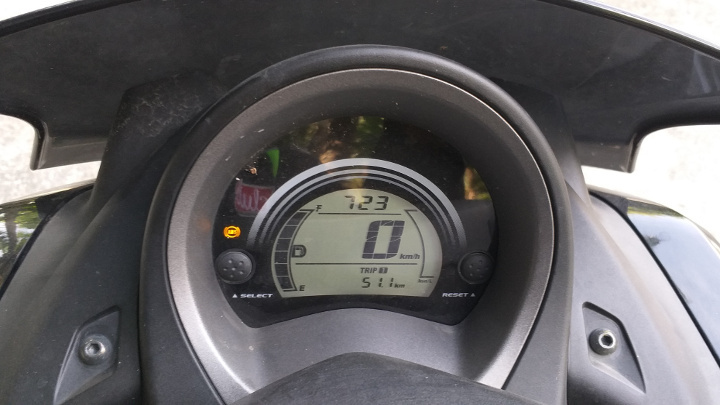 Based on manual computations, the average fuel consumption of the NMax was roughly 44.5km/L. That was achieved via a normal riding style. On the LCD panel, it says 42.7km/L. Multiply these figures with the tank capacity of 6.6 liters, and you have almost 300km of roads to travel. The huge under-seat compartment is spacious enough to accommodate a full-face helmet and other personal items. The only thing we missed dearly was a USB power port. 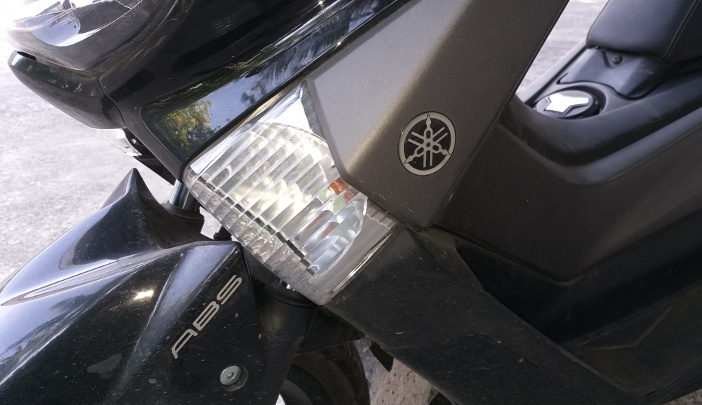 If you’re not convinced, just look at the sales figures of the Yamaha NMax 155cc and you will agree that it has already reached legendary status. One of its major attractions is its competitive pricing of P119,000 for the ABS-equipped variant. The Yamaha NMax, with its classy, urbane looks, is a practical choice as a daily commuter or a weekend warrior. No wonder it’s still lording over the sales charts.